As you can see, my Dream Emmy Ballot experiment took a backseat to real life. I still want to get these out before the Emmy nomination announcements on July 19, so I'm giving it the old college try. Next up is Outstanding Supporting Actor in a Drama Series, and to be honest it's pretty much all chalk. Remember, these picks are my "wouldn't it be nice" nominees and not real predictions because it's just easier to dream than try to face reality. If you want more legit insights, I'm sure you can find some online. Dinklage won this award last year, and I don't see why he wouldn't get another nomination despite the fact that he was clearly the lead of season 2. He's not on my dream ballot because he's a safe bet, but because he was one of the few highlights of a rather scattershot season of television, and he deserves the recognition. Even though I've only watched a handful of Breaking Bad episodes, all I heard from the so-called experts was how good Giancarlo Esposito was during this last season. Since he's pretty much a lock for a nomination, and unlike my decision to add the aforementioned Dinklange, I have Esposito on my list so I can look smart. Homeland was one of my favorite new shows of the 2011-2012 season, and it was mostly due to the fantastic performances. While Claire Danes and Damian Lewis will be getting most of the Emmy love, Mandy Patinkin deserves some too for his portrayal of Saul Berernson. See my entry for Giancarlo Esposito. 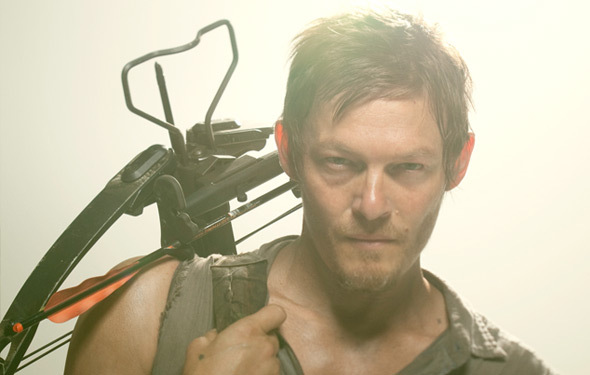 Much like Peter Dinklage, Norman Reedus was the shining light of a somewhat messy second season. As much crap The Walking Dead got during Season 2, much of it deserved, Norman Reedus' Daryl was rarely on the receiving end of much (if any) of it. Sure, there was the ill-advised pairing with the short-haired lady whose name I cannot remember, but that wasn't Reedus' fault. He should get a nomination just for putting up with that stupid storyline. While I cannot say that I'm the biggest fan of Mad Men, I fully admit that the acting on the show's phenomenal and every actor's deserving of a nomination. Well, almost... I still cannot get behind Pete Campbell's character no matter who hard Connor from Angel tries. Back to Slattery, he was great so he was a no-brainer for this list. So there you have it. Those would be my top six contenders for Outstanding Supporting Actor in a Drama Series if I controlled the Emmys. Agree? Disagree? Who would your nominess be?